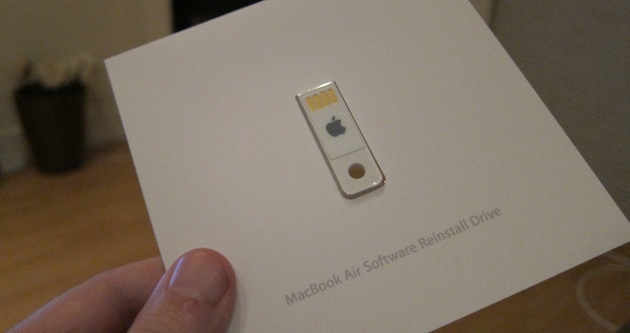 Last week, I wrote a post laying out what I hoped Apple would bring with a revamped MacBook Air. I came to the realization that I had never once used the optical drive in my current MacBook Pro, and it was simply taking up a lot of space and was making my computer unnecessarily bulky. I wanted to replace it with a MacBook Air. And now I can. And I’m not going to be the only one that does. Now, I know what you’re thinking: but the MacBook Air has been around for a couple of years and it hasn’t killed off the optical disc yet. That’s true, but a couple key ingredients were missing the last time around. First of all, the first-generation Airs were a bad combination of underpowered and overpriced. That is no longer the case. 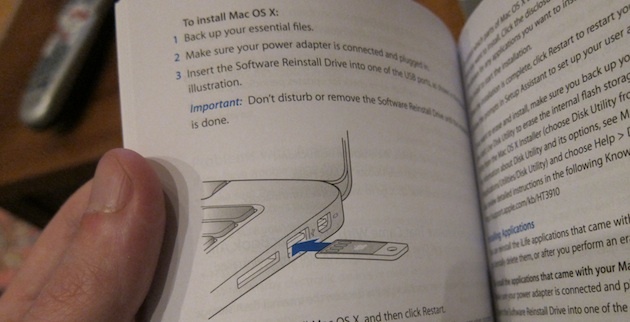 Second, they required some convoluted desktop computer CD syncing system to be able to install something from an optical disc to the Air (or an optional USB add-on). That is also no longer the case (though both still exists). This makes a lot of sense. CDs were replaced by DVDs because they offered a lot more storage. But flash memory cards, such as the one Apple includes with the Air, are already blowing DVDs out of the water when it comes to storage. They may still be more expensive to produce, but Apple has clearly figured out a way to make it work. I suspect we may see more drives like this one (which use much less plastic than typical USB flash drives — and appear to even use less plastic than optical discs). But that’s only one half of the future. The other half is a potentially much bigger announcement Apple made today: the Mac App Store. While Apple didn’t give a ton of details yet, it appears that this store will work pretty much just as their App Store does on the iPhone, iPad, and iPod touch. There will be free and paid apps. There will be one-click downloads. There will be automatic updates. All that. What there won’t be are any optical discs. Up until now, the vast majority of software (at least the legal variety) has been distributed by way of CD or DVD. The Mac App Store could very well change that. Every app found on that store, undoubtedly including the big ones we all know and love and use on our computers today, will be distributed over the Internet. This is long overdue. Plenty of companies have tried Internet distribution for a long time. Some have success, and some don’t. But none have the type of central repository that Apple is offering here. This is going to be huge. If it sounds similar to what Google is working on with the Chrome Web Store, or what Mozilla is proposing with their Open Web Ecosystem, remember that those are only web apps. We’re talking native applications for the Mac App Store. We’re talking apps that run on your computer, just like you have now, they’re just distributed in a way that makes a lot more sense. 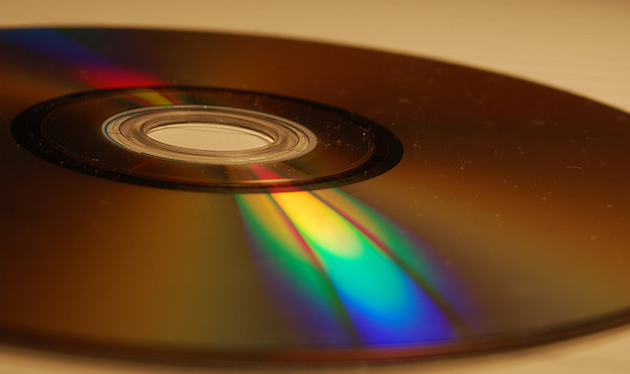 They’re distributed in a way that makes the CD, DVD, and every other optical disc obsolete. And that’s good, since soon the optical drives will start to fade out of existence as well. With the launch of the iTunes Music Store seven and a half years ago, Apple put the wheels in motion to kill the CD. Today, they kicked off their final assault. There will be no survivors.